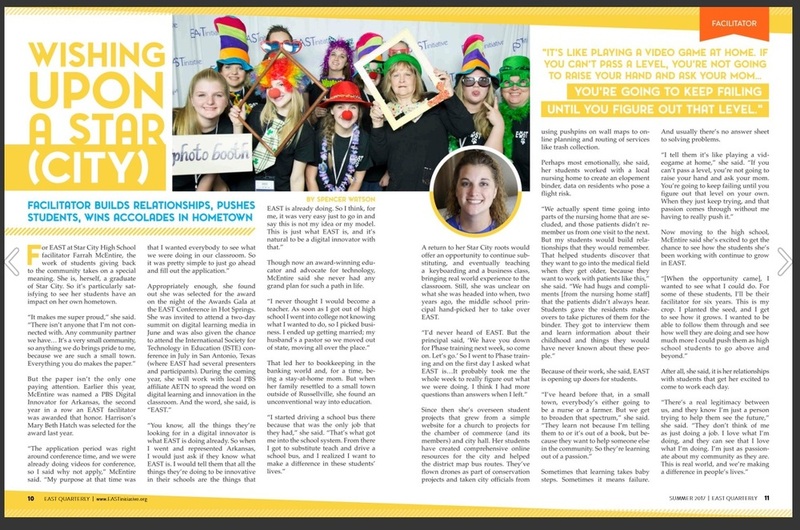 Star City High School EAST Facilitator Farrah McEntire was recently featured in the EAST Initiative's Quarterly Magazine. The article describes Mrs. McEntire's background on how she fell into education, her ability to build relationships, and how she pushes students to be the best they can be. The link to entire article can be found below. Congratulations Mrs. McEntire!